I spent my summer teaching kids to pursue peace and justice for their immediate communities and the world beyond them. Kids4Peace is a day camp that aims to educate youth about Judaism, Christianity, and Islam. Participants learn how to create equality and peace in their respective communities. The camp lasts only four days, but each day is jam-packed with motivating, revealing and challenging activities. Throughout the week I watched the campers and staff change their attitudes and open themselves up more to other religions and to people who are different from them. One activity in particular, the bell pepper dialogue, focused on avoiding stereotypes, discrimination, and negative judgements of the other. I set three different colored bell peppers in front of the campers and asked them to vote on which one was the best—which one looked the best and seemed like it would taste the best based on its feel, shape, and color. The campers were forced to stereotype, discriminate, and judge the peppers, and this activity illustrated for them how quickly their likes and dislikes come into play when making judgments. Campers discussed the activity afterwards and came to realize that “to discriminate” can be a neutral or even, in some cases, a positive activity, but that is not always a heathy action when we discriminate between different people. We judge and discriminate all the time: We judge fruits and vegetables in a supermarket, trying to figure out which one to buy. We judge what looks “good” when we try on clothes. We judge whether one school is better than another. We judge whether one religion is better than another. When it comes to people, sometimes we judge which person to be friendly with and which to avoid. We also judge people by what they wear. People also judge us. They size us up, assess who we are and draw their own conclusions. Institutions judge us, law enforcement judges us, our teachers judge us, some even believe that a god or many gods judge us. Many factors feed these judgments—preconceptions and misconceptions play the largest roles. So too does compassion. So does subjectivity and supposed objectivity. Judgement, discrimination and stereotyping are actions we are taught by our environment. We judge in order to protect ourselves, yet our judgments often limit our interactions with people and hurt ourselves and others. The Torah portion, Shoftim, urges us to pursue justice and to take care of others in addition to ourselves. The famous lines, “Justice, justice shall you pursue,” and “for a [hu]man is a tree of the field” remind us of our mission and purpose in the world—to be thoughtful and respectful to people at all times. 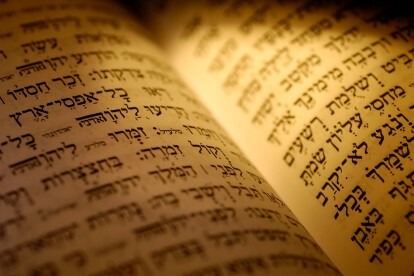 This portion also tells us how to wage war, which is perhaps a somewhat surprising instruction until we realize that the Torah is providing spiritual and moral guidance for each of us in our personal struggles against our inclinations, against our inclinations to make judgements and exclude others, for example. This is our process of pursuing justice. This process cannot be accomplished in one day alone or by one person alone. Our pursuit of justice is rooted in our texts, in our communities, and in ourselves. In pursuing justice we can overcome, control and subdue our tendency to judge and exclude others. The line “we are only a tree of the field” comes to remind us that each of us is just one in a whole community of people who need to work together to pursue justice and peace in our world. This tree of which the Torah speaks illustrates the notion of growth and fruit. Trees spread their seed just as we spread our message through our actions and interactions. Our message is founded on how we perceive and treat others. If we treat each individual we interact with as a meager bell pepper, we will of course not discover the meat of the hearty vegetable—which is, not incidentally, the same no matter the color—nor understand the crux of the person. We will miss out because we have not pursued justice but we have cast people aside purely because of their physical makeup. Instead we need to reach out to others and grow together to build community within and beyond our immediate social circles. We need each other to fulfill our shared mission in this world. Throughout the four days of camp, the campers became more and more ready to educate others through tolerance and inclusion in their many communities. They gained more knowledge, making them more aware of what they are doing and how they treat others. The bell pepper activity does not stand alone in its overall message and impact. By the end of camp, the youth have learned about other people and about themselves; they have learned to pursue justice and to work as a team, as one of the many, working to build peace in their communities. Most importantly, they have learned to build peace, one person at a time. Natalie Shribman is a third-year rabbinical student and the camp director and program coordinator of the interfaith day camp Kids4Peace in Cincinnati.